Vishay Intertechnology introduced two new AEC-Q101 qualified transmissive optical sensors for automotive and industrial applications. 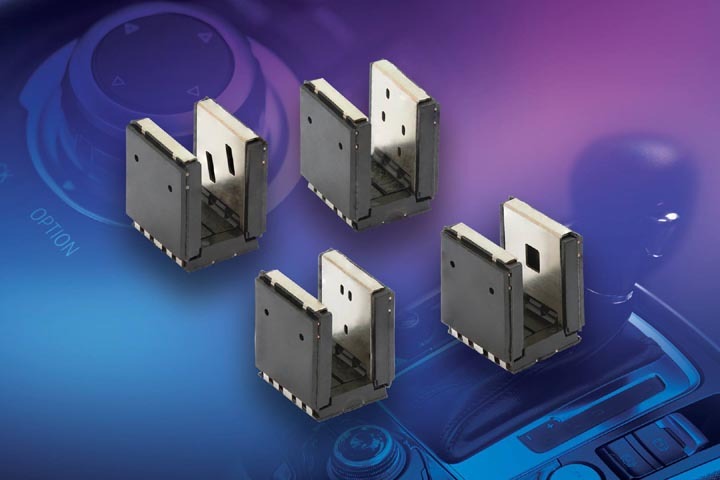 Offered in a compact 5.5 mm by 5.85 mm by 7 mm package, the Vishay Semiconductors TCUT1630X01 and TCUT1800X01 are the industry’s first 3- and 4-channel transmissive sensors, respectively. 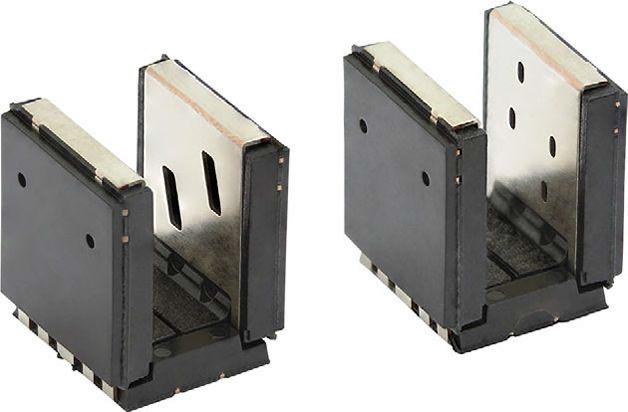 The triple-channel TCUT1630X01 includes an infrared emitter and three phototransistor detectors located face to face in a surface-mount package. With a taller dome than previous-generation devices and an additional channel for a vertical push function or indexing tab, the device is ideal for turn and push encoding. The quad-channel TCUT1800X01 includes two infrared emitters and four phototransistor detectors, and can detect up to 16 positions for absolute and incremental encoding. Both sensors released can detect motion, speed, and direction. 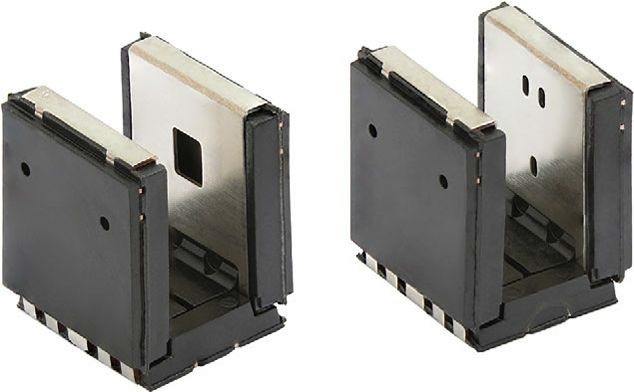 They can be used as position sensors for encoders in high temperature automotive environments close to motors, in addition to turn interior knobs, ignition locks, adaptive headlights, and electric power steering (EPS) systems. In industrial applications, the devices are ideal for monitoring gas or water meters and detecting the status of doors, panels, and inserted coins or credit cards. The TCUT1800X01 Optical Sensor Schematic. The TCUT1630X01 and TCUT1800X01 deliver a typical output current of 1.3 mA and operate at a wavelength of 950 nm. The optical sensors feature a 3 mm gap width and apertures of 0.3 mm, and offer a wide temperature range of –40 °C to +105 °C. With a Moisture Sensitivity Level rating of 1 (MSL1), the TCUT1630X01 and TCUT1800X01 have an unlimited floor life. Compatible with reflow solder processes according to JEDEC-STD-020D, the devices are RoHS-compliant, halogen-free, and Vishay Green. Samples and production quantities of the optical sensors are available now, with lead times of eight to 10 weeks for large orders.